"On July 1, 1916, the British launched the assault which resulted in the largest massacre of British forces - over 57,550 casualties in one day. Among them were 732 men from the 1st Newfoundland Regiment. Of the 801 men of that regiment, only 68 men answered the regimental roll call after the attack; 255 were dead, 386 were wounded, and 91 were listed as missing. Every officer who had gone over the top was either wounded or dead. On the day that the British forces suffered their worst losses in history, the 1st Newfoundland Regiment also suffered the worst loss in its history. 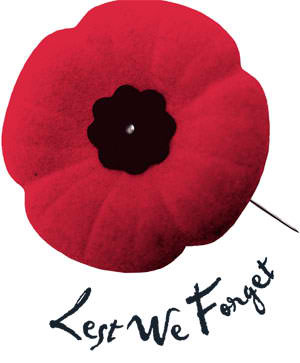 However, the Newfoundland Regiment was not a force fighting under the Canadians. This single battalion of soldiers came from the Dominion of Newfoundland. 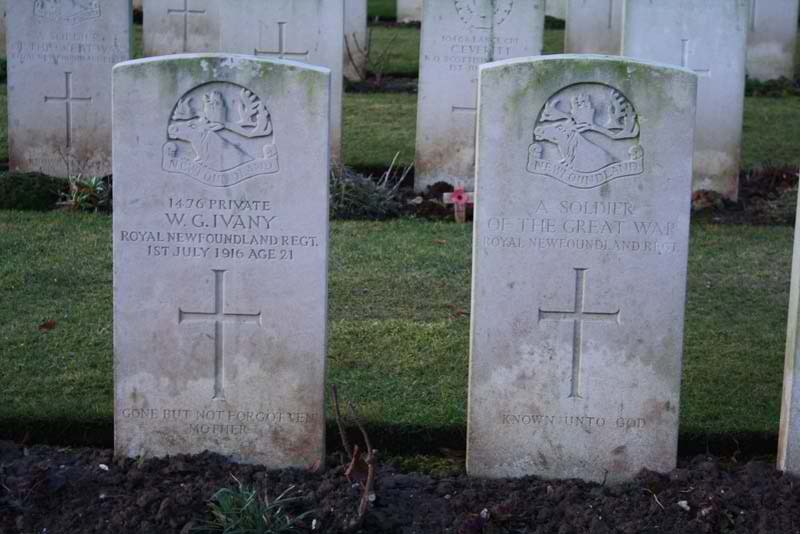 They fought with the British and at the time of the July 1st Drive, they were posted with the 29th Division. It was the Newfoundland Soldiers that held proud their heritage that refused any attempt to combine them with the Canadian forces in late 1914. Newfoundland did not become a part of Canada until 1949, 32 years after the end of the First World War." 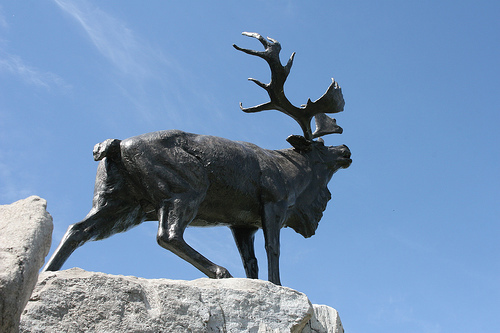 Bronze caribou at Beaumont-Hamel Newfoundland memorial. Of the five memorials established in France and Belgium in memory of major actions fought by the 1st Battalion of the Newfoundland Regiment, the largest is the thirty hectare site at Beaumont-Hamel, nine kilometres north of the town of Albert. This site commemorates all Newfoundlanders who fought in the Great War, particularly those who have no known grave. The site was officially opened by Field Marshal Earl Haig on June 7, 1925. 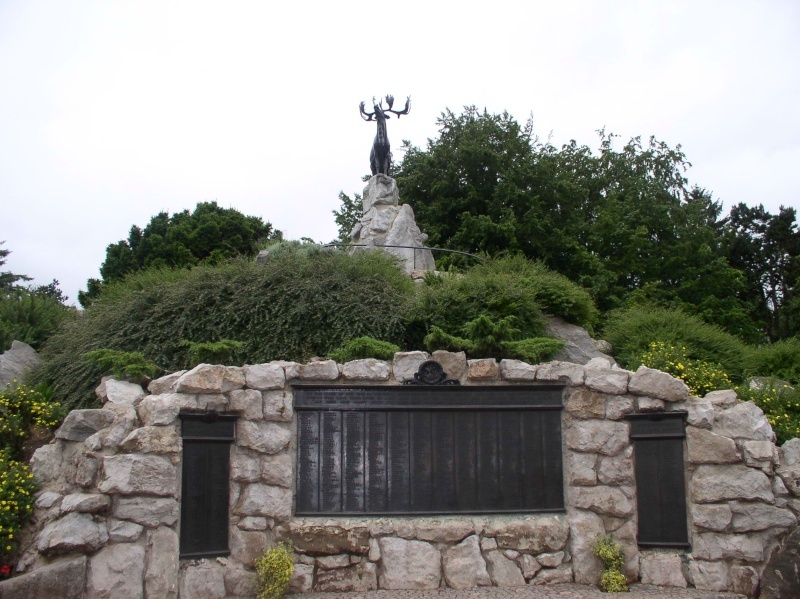 The Beaumont-Hamel Newfoundland Memorial is a memorial site dedicated to the commemoration of Dominion of Newfoundland forces members who were killed during World War I. The site is situated 9 kilometres north of Albert, France near the town of Beaumont-Hamel in an area containing numerous cemeteries and memorials related to the Battle of the Somme. The preserved battlefield park encompasses the grounds over which the Newfoundland Regiment made their unsuccessful attack on 1 July, 1916 during the Battle of the Somme. The Battle of the Somme was the regiment's first major engagement and during an assault that lasted approximately 30 minutes was all but wiped out. Purchased by the people of Newfoundland, the site is the largest battalion memorial on the Western Front and the largest area of the Somme battlefield that has been preserved. Along with preserved trench lines, there are a number of memorials and cemeteries contained within the site.